This regulation has been around for a while, but many people still get tripped up by it, probably because it is not talked about often. With more and more people looking to online savings accounts to earn higher interest rates, this is an important rule to be aware of. 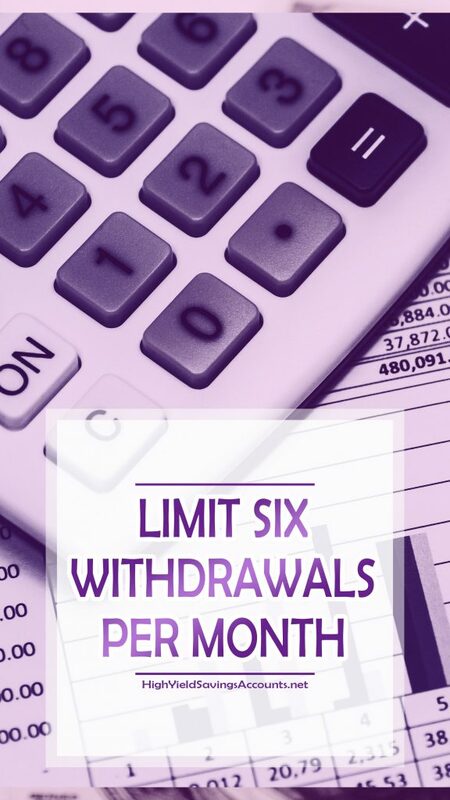 Here’s what types of withdrawals are limited on certain accounts. Why does the Federal Reserve limit transactions? It all has to do with how much money the banks can lend. Savings accounts are classified by the Federal Reserve as a “saving deposit.” The reserve requirement for savings accounts is 0%, which means banks don’t have to hold back any of the money you place in savings with them. They can lend out the exact amount you put in. Other accounts that are labeled as “transaction accounts,” such as checking accounts, have a reserve requirement of 10%, meaning the banks must keep 10% of the balance on hand and cannot loan that money out. The reason for the difference is the assumption that you will be withdrawing money more often from transaction accounts than from saving deposits. Be careful when using online savings accounts! 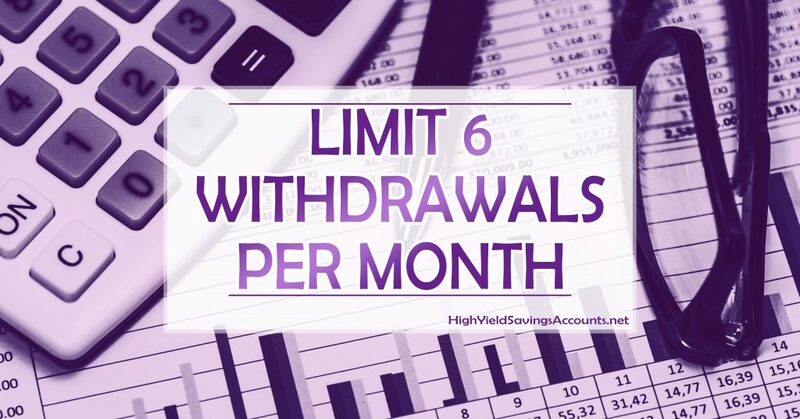 Since most high yield savings accounts are only online, you might need to plan your transactions carefully so you don’t go over the withdrawal limit. I usually keep a local bank handy for paying bills and keep use one of the best online savings accounts strictly for the high interest rates. Thanks for sharing this. I wasn’t aware of it, I guess because I’ve never bumped up against it.